With the house move in less than four days, you can imagine how busy we are. On top of that I have a stinking cold, an MRI scan today and I'm working in London on Wednesday. Which is all very exciting (cold and MRI aside), but I'm a little overwhelmed to say the least. 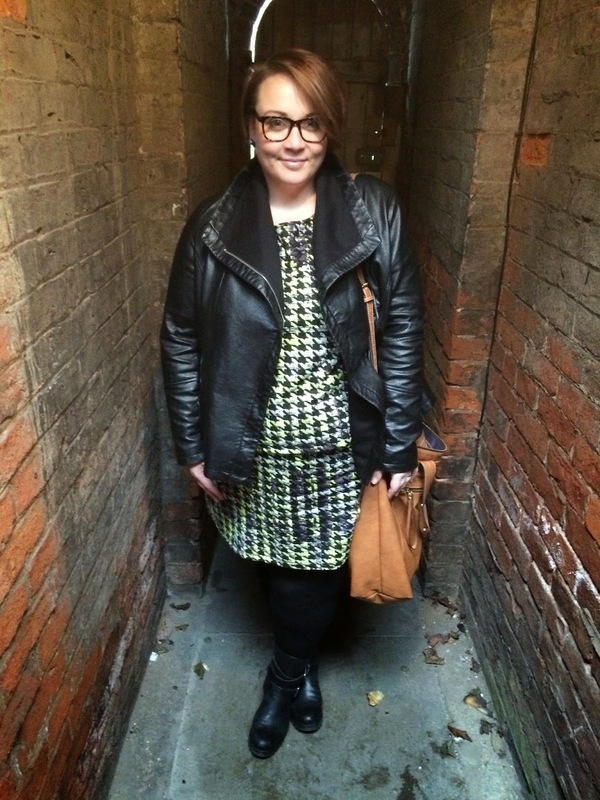 The capsule wardrobe challenge is still going strong, apart from a few pyjama days! I have to say though, I am getting to the end of my boredom threshold with it now though! I miss my clothes, I miss colour, I miss dressing for my mood. I think if anything it's reaffirmed my absolute passion for clothing and that I could never dress purely for functionality. I have to have my fashion fix! Yesterday we signed the contracts for the new house, being full of cold I looked a little on the rough side! To be quite honest I wasn't in the mood for having my picture taken so I look a bit, erm, awkward? 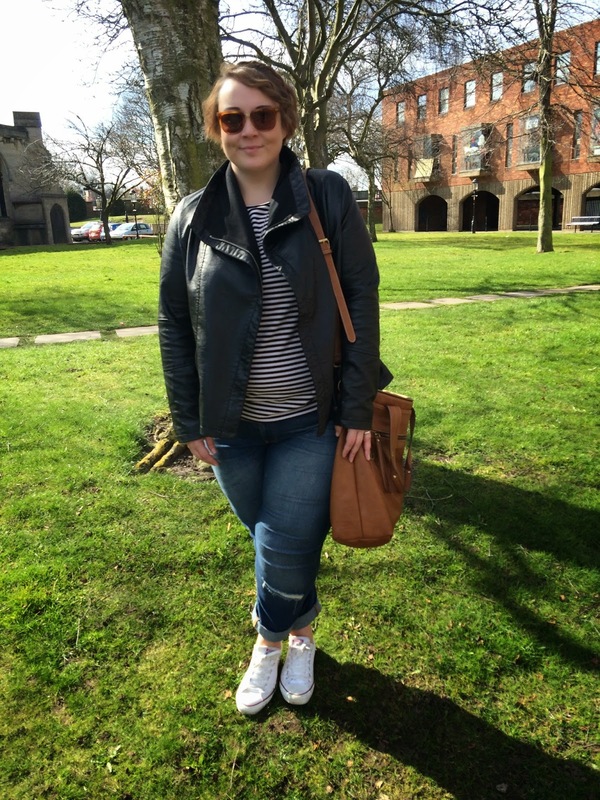 I wore: Striped dress (worn as a top) - H&M// Biker Jacket - New Look// Jeans - JUNAROSE// Trainers - Converse// Bag - Fiorelli. 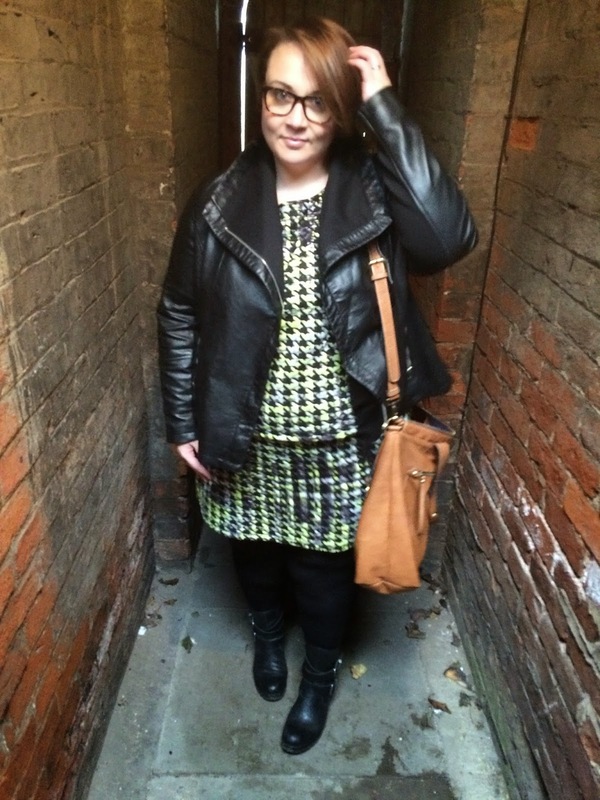 I'm coming to the end of the challenge now, there's just a couple of days left, as once we're in the new house I will be fully exploring and rediscovering my wardrobe that I've missed so much! It has been fun though and I hope it's been helpful to you guys in giving you ideas on how to make your wardrobe work for you. I'm always interested in hearing what you have to say, and if you have any ideas for the blog or posts you'd like to see, then please do get in touch! I have positively loved this challenge. Good luck with the move!